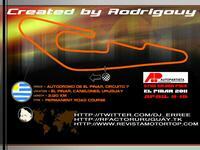 Located near Montevideo and the National Airport, the El Pinar circuit is the most important racing track in Uruguay. It´s called officialy Victor Borrat Fabini and it´s property of AUVo. In their asphalt ran the "Pinar 6 Hours", Superbikes Southamerican championship, TC2000, Southamerican Supertourism and normally recieve rounds of the AUVo championships, La Granja´s Club, Chevette Cup, etcs. Extract in your rFactor folder, if the track crash, decrease your graphics level. 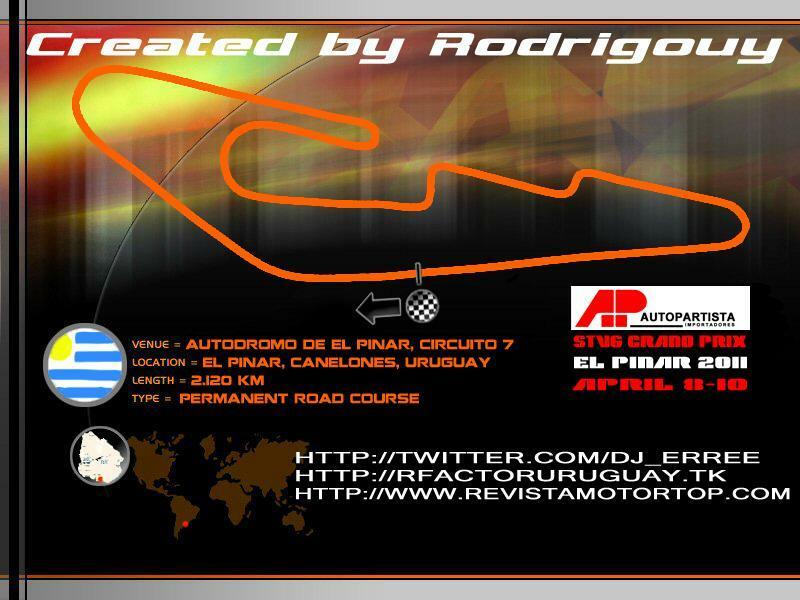 There are currently no setups for Autodromo de El Pinar. Add a Setup. Thanks for this wonderfull track!! Claudio, from the other side of the "charco"
I really like short, fast tracks for the F1 2010 cars. This one is a real blast to race. Great job!! Nice track, lots of layouts....congratulations!! !